The following reviews were authored by Our Wedding Officiant NYC's brides and grooms. We are very grateful for their kind words. From the moment we spoke with Peter, we knew he was the perfect match for us. His warmth, efficiency and professionalism made him incredibly easy to work with. He always responded quickly - no question too big or too small for him to answer right away. With Peter, we were sure everything was taken care of. His ceremony was simply beautiful. We felt like he had known us forever! When it was over, there wasn't a dry eye amongst our guests. My husband and I can't recommend Peter highly enough. He is a pleasure to work with and will help you to create the ceremony of your dreams. 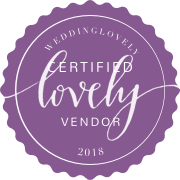 Let me start off by saying that I was VERY thorough when picking my vendors. I did TONS of research and read HUNDREDS of reviews. Peter officiated our wedding, and not only did we think it was PERFECT but our guests have told us that our ceremony was the most romantic and intimate ceremony they have ever been a part of. Peter was very responsive during the planning process and was such a calming and wonderful presence at our wedding. He is a great speaker and we felt like he was family. When I walked down the aisle, my husband got emotional, and Peter immediately offered him his handkerchief. I didn't know this until after the wedding but my husband was so thankful that we had someone who truly cared about us as a couple. Our ceremony was heartfelt, beautiful and unique and we are so glad we went with Peter. If you are thinking of using him to officiate your wedding, DO IT. You will not regret it! Peter did a great job as an officiant at our wedding in October 2015. He was friendly, comforting to be around, easy to talk to and had great ideas and suggestions for our ceremony. Peter helped made our day very special and we will be him forever grateful for that. Thank you, Peter. For our ceremony we chose to have a short ceremony that blended some Hindu and Catholic traditions. Peter was very good at working with us to come up with a ceremony that made both families happy and respected all of our wishes. He was very thorough and clear with all his preparations, giving us full confidence in the ceremony. On the day of, he showed up early and was well prepared. During the ceremony, he was very well spoken, and managed all aspects very professionally. Even when events deviated from our plans, he was very quick on his feet to go with the flow and make everyone laugh. We even got several compliments on the ceremony from guests who were attending. Peter was an absolute doll during the planning process for our wedding, and a true professional at the ceremony. I had a LOT of requests in advance of the wedding, and he was immediately responsive via email and always very kind (even though I probably made him crazy!) Our wedding ceremony was not easy, as it was conducted in two languages (English and Norwegian), and Peter had to learn to pronounce names and words that were true tongue-twisters, and he did so with aplomb! I will always remember how special he made our ceremony, and be forever grateful that he made our big day special and beautiful! I recommend him highly! Peter was an exceptional addition to our Wedding Celebration! He is a true Professional and made our guests feel so comfortable that many of them asked me if he was a family member or a close friend once the vows had been completed. The ceremony was intimate and warm and Peter made everyone feel like part of a very special moment in time. In addition, he was dressed impeccably and took care of every detail , skyping with us and giving us many options for our vows and the content of the ceremony. I can tell you that you will NOT be dissappointed should you choose Peter Boruchowitz as your Officiant. Peter did a fantastic job officiating our wedding! We were completely daunted by the wedding planning process, but hiring Peter as our officiant was a no-brainer. Working with him was completely stress-free, and he did a great job putting together a custom, non-denominational ceremony that was traditional enough to satisfy our families, but also perfectly reflected our own values and personalities as a couple. He also did a fantastic job incorporating several Filipino unity rituals into our ceremony, and we really appreciated all the research he put into making sure the rituals were properly executed. Overall, Peter was incredibly accommodating, reliable and kind, and we can't recommend him enough! Peter was amaaaazing. I had no idea what to expect or how to go about hiring someone to marry me and my husband. Well we truly hit the jackpot with Peter. I could sing his praises but my guests were awed by his presentation and entire package. He's completely professional but he balances this with sincerity and humor. He kicked off the night and started the rest of my life with a wonderful husband. Thank you Peter from the bottom of our hearts. Kisses. Peter was a pleasure to work with throughout the planning of our ceremony. The actual ceremony was exactly how we imagined if not better! We had met Peter a little over a year before our wedding date. He was professional, prompt, thorough and he definitely had a good sense of our personalities and vision. Peter sent us a draft very quickly including a short narrative about how my husband and I met almost 16 years prior which he gladly proofread for us. In the weeks and days leading up to the wedding Peter would check in with us to make sure that we had all the details in order and he inquired about the color scheme of the wedding. He even wished us a stressed-free week which was very comforting as by that point my nerves were beginning to brew. On the day of, Peter was warm and welcoming as he greeted us at the venue. During the ceremony, there was a glitch with the microphone which proved no problem for Peter. He spoke with such confidence and zeal that everyone could sense the power behind the entire oration. Afterwards, many of our guests commented on how much they enjoyed the ceremony! My husband and I would highly recommend Peter for the job! Peter was a dream to work with from start to finish! We are an international couple who flew to NYC for our wedding. I first met Peter on a short visit over there and chose him over the one other officiant I met. He made the choice easy - he was professional, business like, yet warm, polite and friendly. .....From the moment I first contacted him right up to our post-ceremony communication, he responded quickly (usually within a few hours) to all emails. After agreeing our contract, he provided us with a draft ceremony within a day or two. We went back and forth making a few edits (he gave us total free reign with customising it as we wished) and very quickly arrived at something we were very happy with. Peter also provided suggested readings and suggested vows. He also incorporated a sand ceremony into our service - which is something we hadn't thought about before. .....Peter went above and beyond what I expected him - meeting us for a quick coffee before the ceremony as my husband had never met him, and allowing us to use his NYC address for delivery of our sand ceremony kit. .....On our wedding day, Peter turned up well on time, was dressed professionally and delivered the ceremony perfectly. Many guests commented on the beautiful words and Peter's excellent delivery of the ceremony. He was so professional and an absolute dream to have as an officiant. If I had to do my wedding day all over again, I would not change anything about Peter and the ceremony - both were perfect. And my husband feels exactly the same. Peter did a super job of officiating our recent NYC wedding! He took the time to get to know us and our relationship story, and prepared a wonderful civil ceremony that had just the right balance of seriousness, sentiment, and humor. Several of our guests told us that it was one of the best ceremonies they have heard. He was also very helpful in advising on marriage license procedures. I highly recommend him! 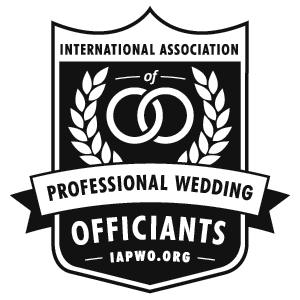 Why Peter Boruchowitz should be your wedding officiant ... Our wedding officiant Peter Boruchowitz was excellent. He was punctual, professional, and most of all courteous. My husband and I couldn't have chosen a better officiant. We highly recommend his services for your wedding. He was a pleasure to do business with. Professional and well organized. He even wore a tie that matched the wedding party. Easiest part of the planning with his assistance. I wish we could give Peter an even higher rating than 5 stars. He gave the most beautiful sermon for our ceremony. My husband and I come from different religious backgrounds, so the ceremony was potentially a bit of a touchy situation for our families. We asked Peter to include elements from both religions (Catholicism and Judaism), while maintaining a balance between them. He did an outstanding job of that, and more. Peter was incredibly warm and well spoken - He connected with us and our guests and really made it feel like we were all part of something very special (which we were!). His words on love and marriage made me and quite a few guests teary eyed, in a good way. Even though we had only spoken a few times before the day of our wedding, he captured our requests perfectly, and I was incredibly happy to have him marry us. He even got the small details right, like helping my husband's mother light the unity candle and mailing me the copy of my vows after the wedding was over, which he had somehow ended up with. And both our families were very happy with the balance of each religion in the service. Overall I'd do chose Peter as our officiant again a million times over - The ceremony was better than I could have imagined, and we even had several guests come up to us afterwards asking where we found him, because the ceremony was so beautiful and heartfelt. Peter was great! I didn't really know what to expect or what questions to ask when finding an officiant. He helped guide me in the right direction of the style of ceremony we wanted. He offered both traditional and contemporary vows for us to choose from. He also added a poem called 'The Recipe for Love' which was a really nice touch (my husband and I are in the food/beverage industry) and fit our personalities! Very professional and was prompt at returning emails. The ceremony turned out wonderful and we couldn't be happier! Not only was he a great officiant, but very reasonably priced!! My husband wanted a no-nonsense simple ceremony; I wanted our ceremony to be meaningful and special for both ourselves and our visiting family and friends. Peter satisfied us both by writing a straightforward but heartfelt ceremony. Many of our guests commented afterward that they thought his words were perfect and that they felt really special when he acknowledged their contribution to our lives. Working with him, from our initial meeting up until the day of the wedding, was super easy and stress-free. He was extraordinarily professional. I highly recommend him! I come from a Mexican family with certain traditions. Trying to mix a religious ceremony and a civil ceremony seemed almost impossible for me. That is until I found Peter Boruchowitz online. He was able to help me incorporate Las Arras (the 13 coins) and El Lazo (the lasso unity ceremony) & was a total success. My parents, husband and I are beyond happy to see this at our wedding. I couldn't have asked for a better ceremony. Thank you Peter Boruchowitz for taking your time to answer all my emails, questions and concerns and walking me though everything before the wedding. From when we first met to our wedding date, Peter was professional and a great resource. When we first met, he explained all of the important details about getting our marriage license and made sure that all of our requests for the ceremony would be included. The selection of readings he provided were inspiring and diverse. His experience as an officiant at our venue was critical - he was familiar with the space and walked the bridal party through the procedure for the ceremony. His personality added positively to the overall ceremony and kept everyone good spirits, making for a great start to the evening. 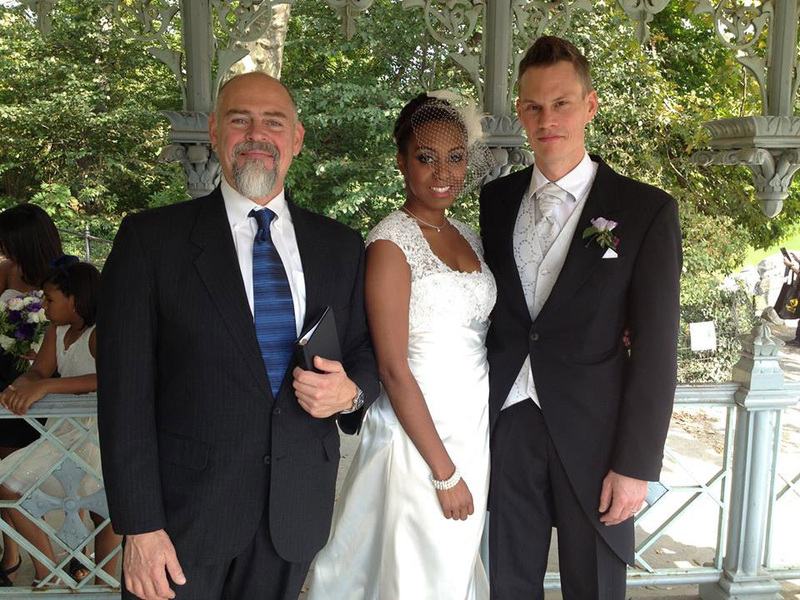 We would highly recommend Peter to anyone who is looking for an officiant! I called Peter one day before our ceremony. Previous plans had fallen through, and Peter was thrown into my lap and upon calling and being slightly frantic, Peter's calm voice, calmed me. After a few quick questions, my elopement and marriage to the love of my life had been scheduled. Peter had written the ceremony himself, and it could not have been more perfect. My wife and I are an LDS (Mormon) couple that love God. I had never mentioned this to Peter, however, his readings and even an added poem reflected our beliefs perfectly. He is truly a divinely inspired individual, who has the knack to prepare an unforgettable moment for anyone. Upon arriving, Peter was dressed exquisitely, and he was warm and welcoming. His voice was calm, pure, and deep. All of this resonated within my bride and I. As we left, we both looked at each other and stated that our minds had been blown. A quickly planned elopement that could have gone horribly wrong, turned into the happiest moment in our lives. Upon having a future full ceremony for our families, I will not hesitate to contact Peter again. An amazing man with amazing talent. I cannot recommend our officiant more highly !! From the moment I emailed Peter to the day of the wedding he made everything so simple that I was worried that it really was this easy. Peter delivered exactly what we asked for in a ceremony and actually exceeded our expectations. we could not have asked for anything more. I would rate him ten out of ten. Emails were immediate which made our international communication incredibly easy and we had no stress!!! He made us both feel very comfortable and relaxed on our wedding day.